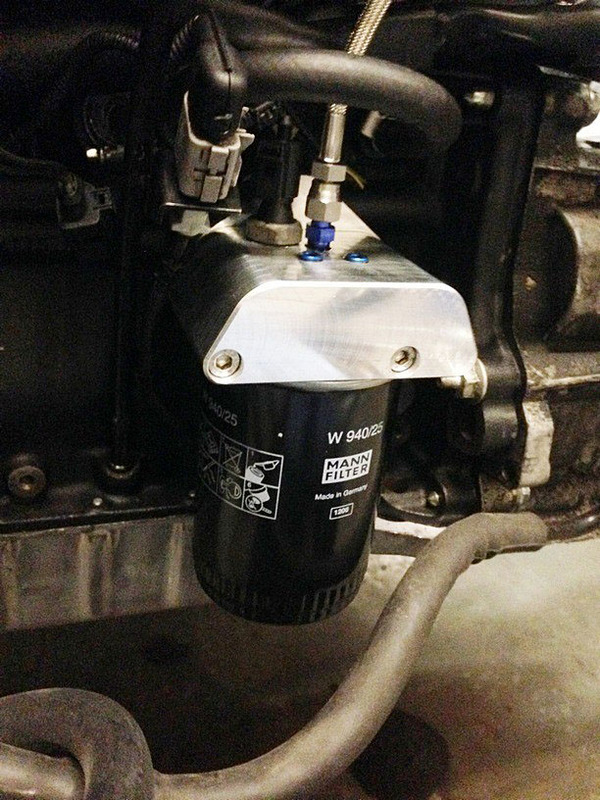 With a Schimmel 12v Oil Filter Housing in place, start up lubrication is dramatically improved. 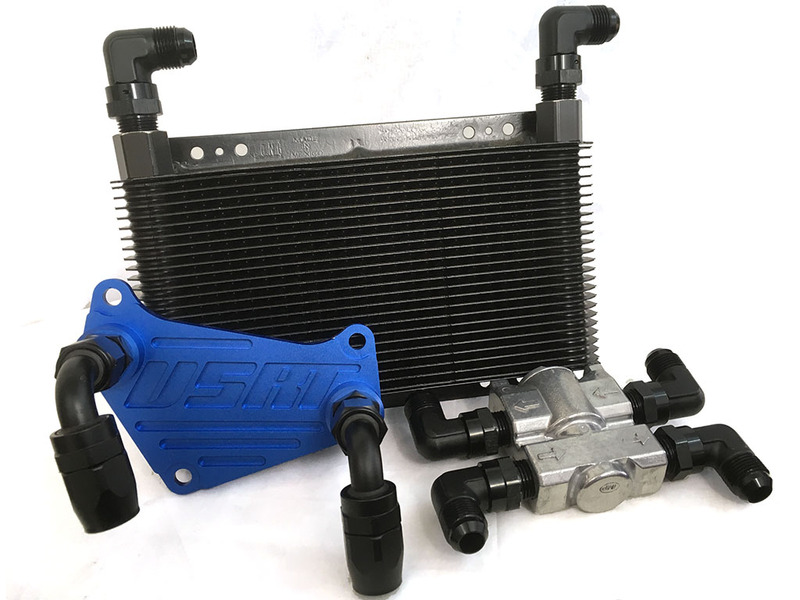 Protect your engine block and internals during its most vulnerable state! 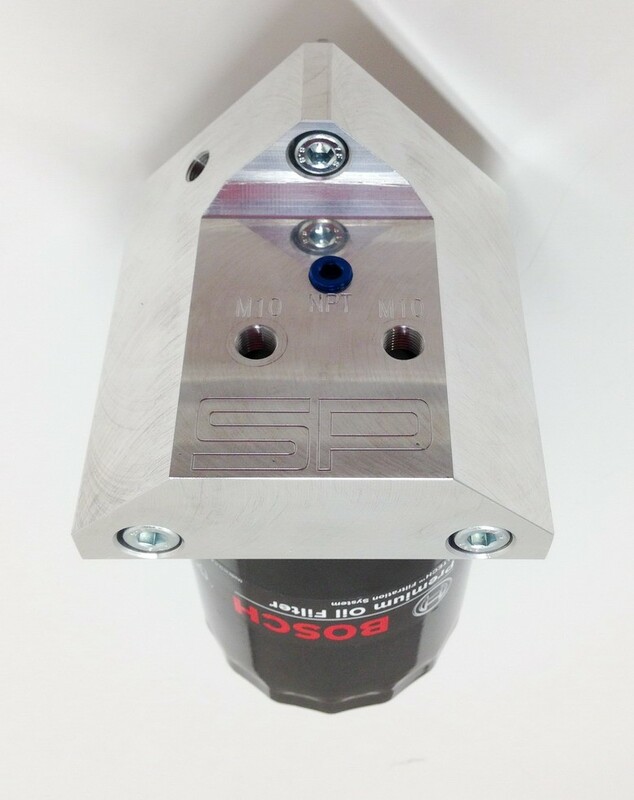 The magic starts out with a 5.5lb billet block of 6061 T6 aluminum alloy. 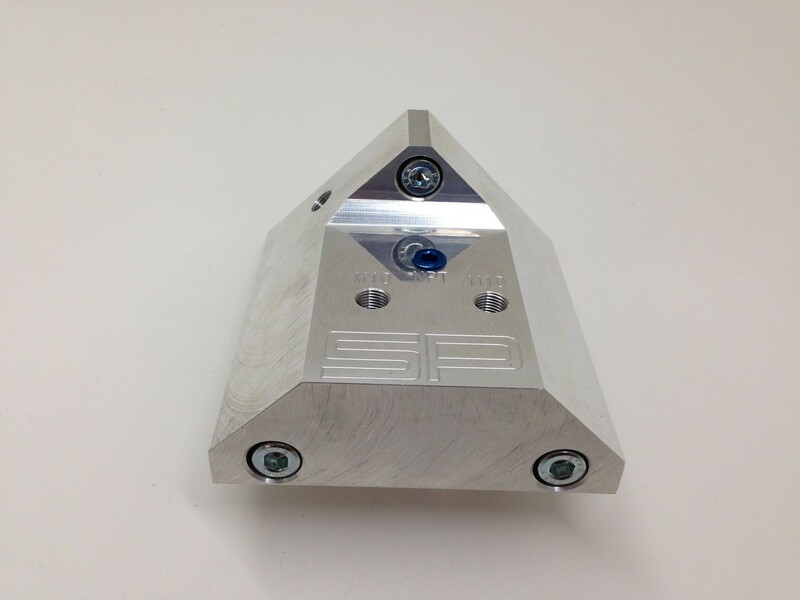 After many hours of machining, it is reduced to 1.75lb of perfected eye candy. 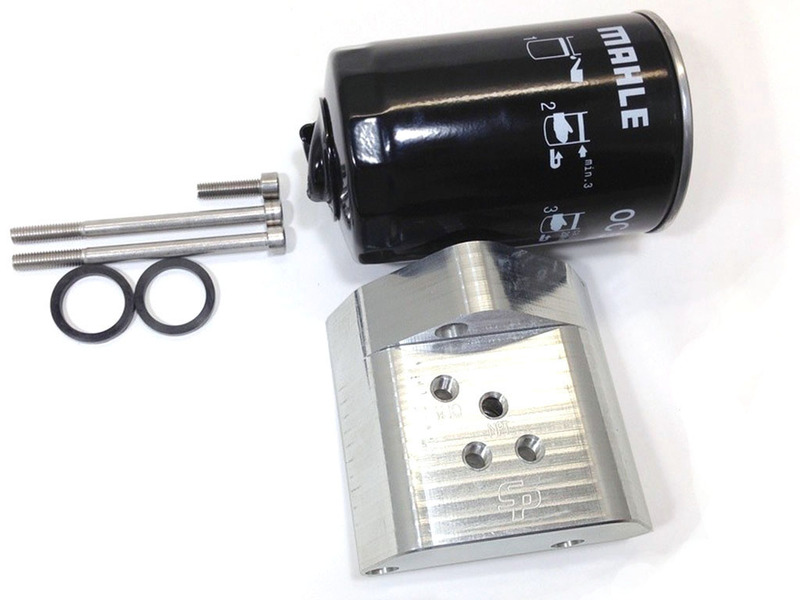 Equipped with the most common spin on oil filter thread, 13/16-16”, a builder may choose from over 20 different brands spin on filters including: Bosch, Amsoil, Mobil1, Fram, Wix, and high-end reusable examples, too. 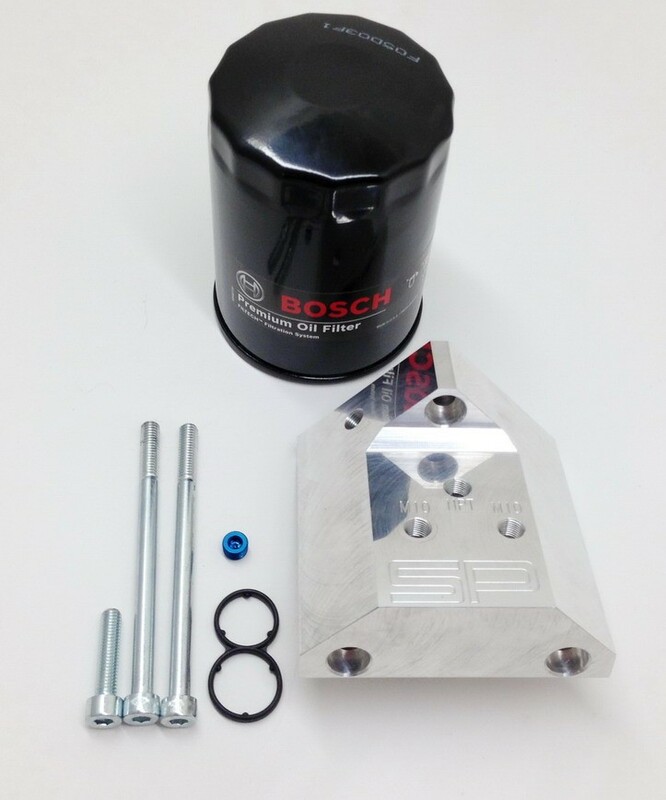 The oil filter housing comes with one high-quality Bosch oil filter featuring an anti-drainback valve. 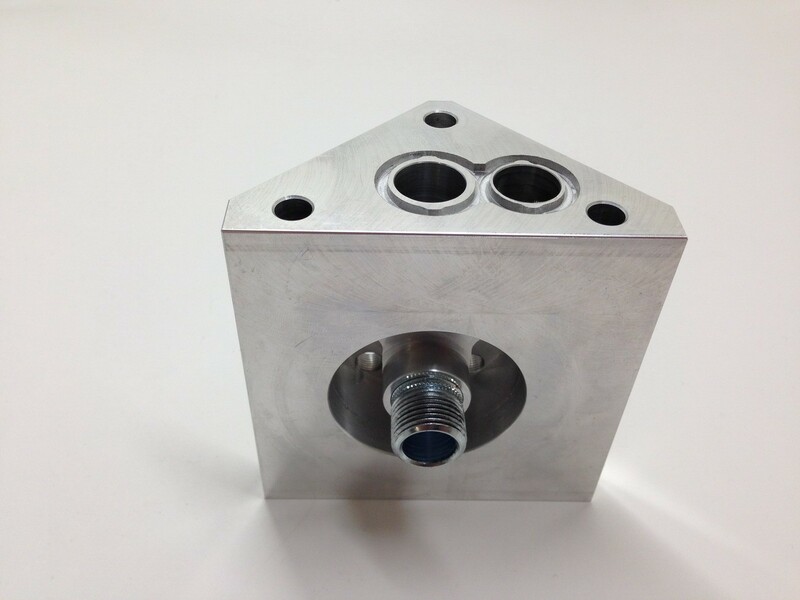 This valve's purpose is to keep the oil filter filled at all times. So, when the engine is started, there will be an almost instantaneous supply of oil to the engine. 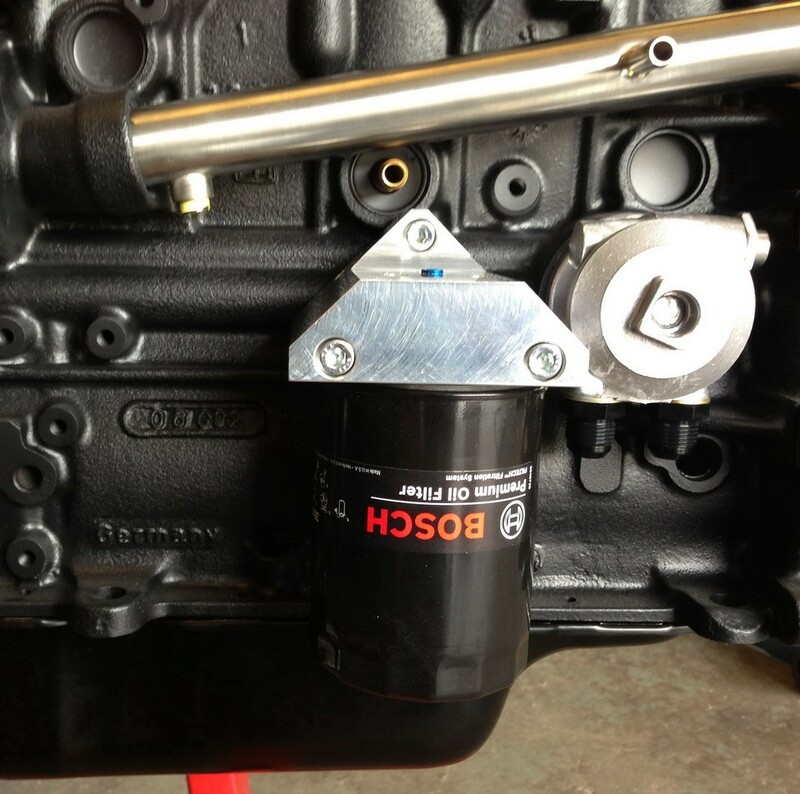 Whereas, the original design allows oil to drain out of the filter through the oil pump when the engine is stopped. 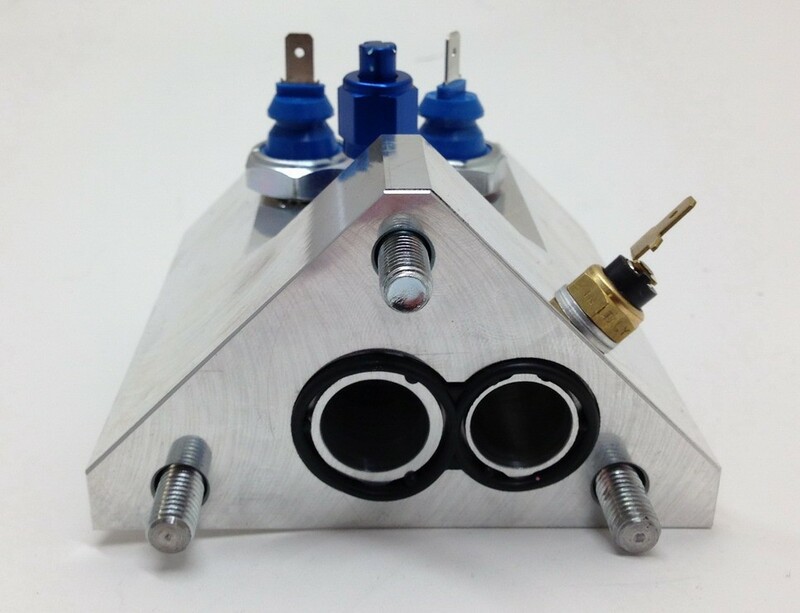 Upon next start up, oil must refill the filter before full oil pressure and flow can reach the engine. 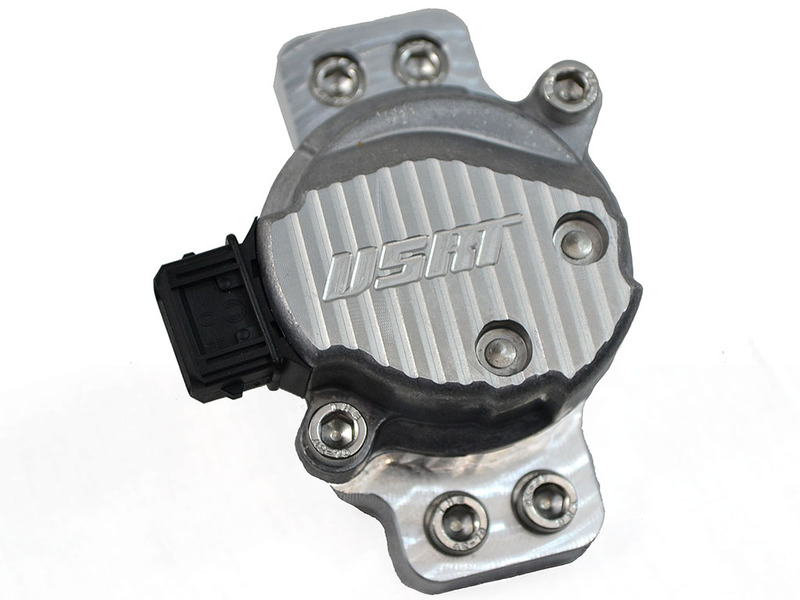 The housing also features an extra 1/8 NPT port to feed a turbo with fresh oil or to install a proper oil pressure sender after the oil filter. 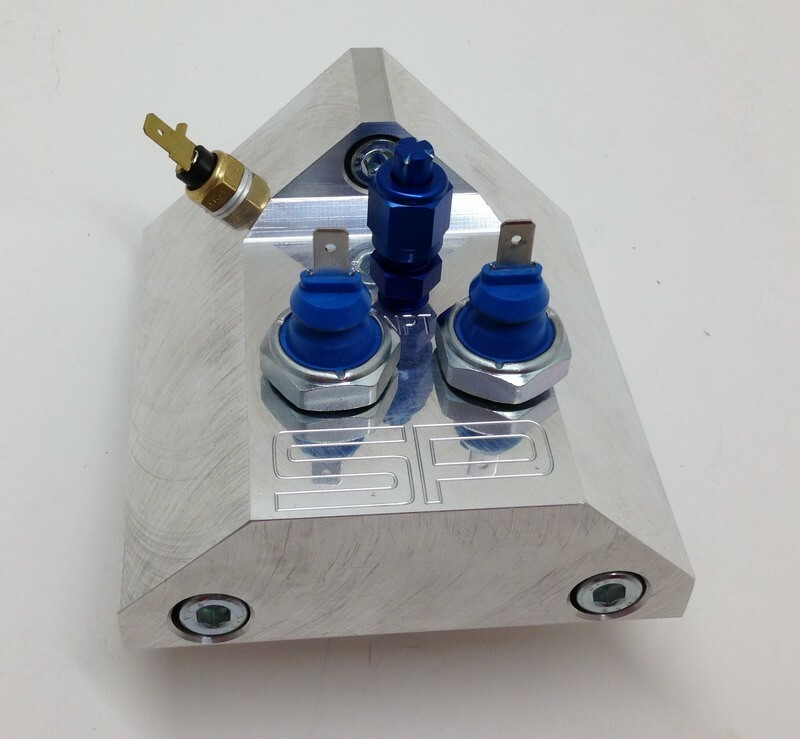 The OEM oil filter housing has three ports for sensors on top. All of these ports are unfiltered oil from pan and are before the filter. 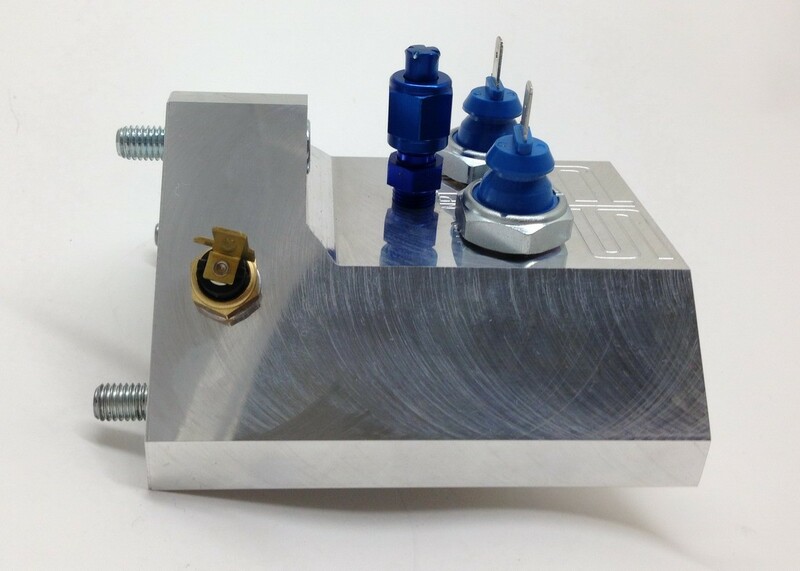 Thus, any of these ports are subject to sending dirty oil to your turbo bearings which will drastically reduce its life and performance. And, in case of gauge setup, the pressure drop after the filter will not be factored in. This system = "DOING IT RIGHT". 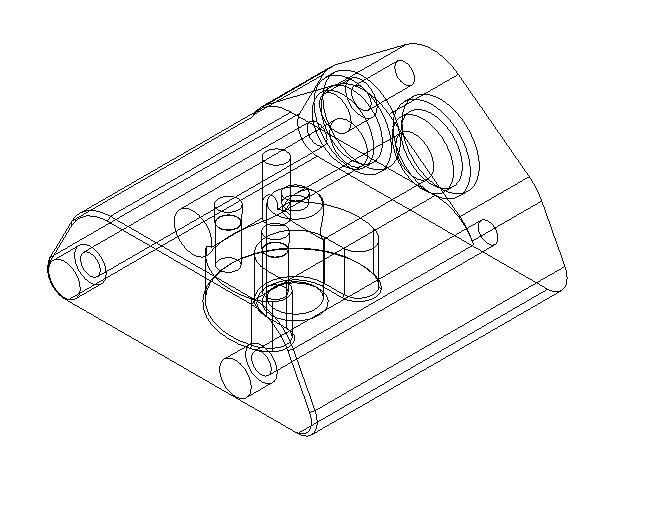 Note: Fits all 12v VR6 variants. Note2: Cars with AC must clearance upper AC hose to complete installation.